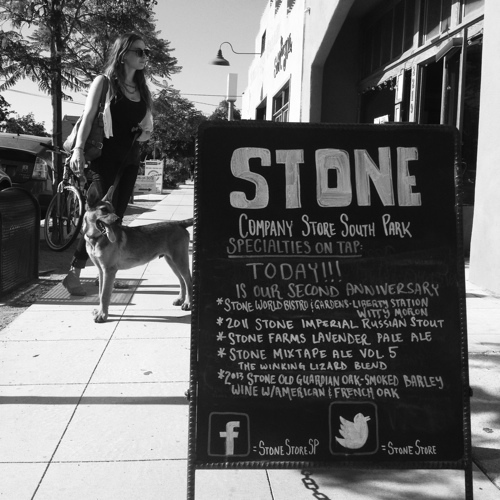 Stone Brewery does a great job on all things experience related (not a client). I'm always looking to work with great organizations who have difficult problems to solve. What do I mean by great? You don't have to be saving the world, but ideally you have a purpose and you strive to make your company, your products, your services better all the time. My approach to business and design strategy starts with asking questions that get to the core of the issues and opportunities at hand. By working from the inside out, we can make sure that we provide great experiences to our customers, and great results to stakeholders. If you have a tough business problem to solve, or maybe you have a problem that isn't yet defined enough to solve, I'd love to hear about it!